1 Kazoo: create a cool instrument that turns humming into buzzing. 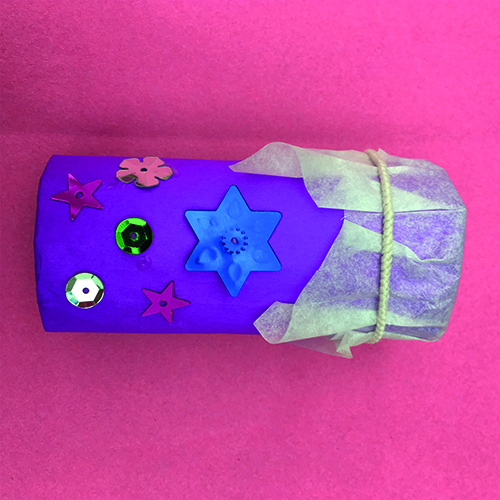 Kids just need to pop baking paper over the end of a cardboard tube and secure with an elastic band or hair bobble. They can decorate the tube, too. Then they hum a tune into the open end of the tube. 2 Cake tin guitar: this musical activity is perfect for toddlers. 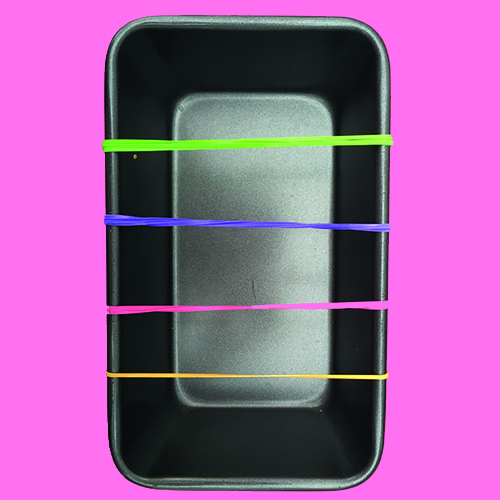 Stretch elastic bands over a cake tin (we used a loaf tin) for little fingers to pluck. Experiment with bands of different sizes – or twist a few bands together ­– to create different notes. This also works over the open part of a tissue box, but it sounds better when using a metal tin. 3 Sensory shaker: this is always a crowdpleaser. 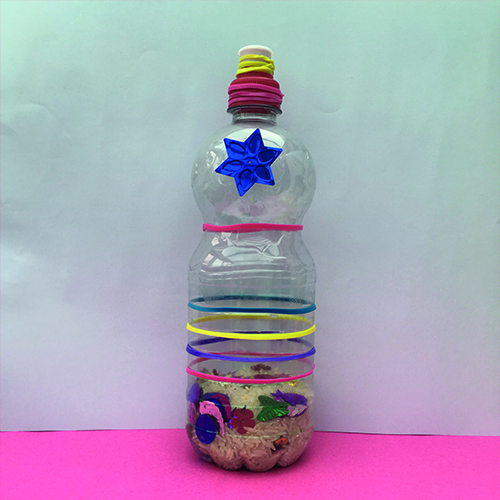 Give children empty water bottles to fill with dry rice and (if they like) sequins. Now they can decorate the outside of the bottle – and shake! NOTE: The lid and rice can be a choking hazard, so secure the lid with tape for younger children. 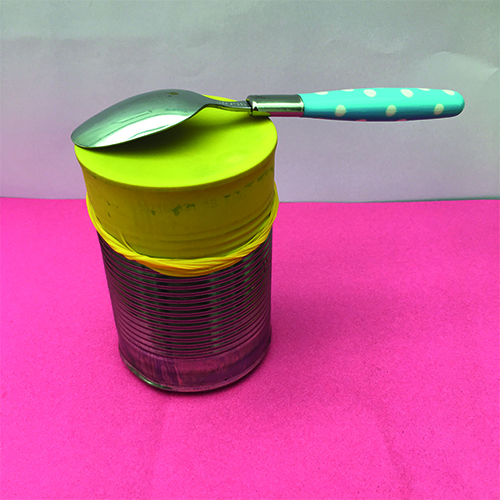 4 Tin can drum: can you beat giving kids a wooden spoon and a pan to make music with? Possibly not. But if you’re looking fora different drumming sound (ie. not as loud) and you have some used balloons to use up, then this activity is perfect! Just stretch the balloon over a clean tin can and then let them tap the rubber with their hand or a spoon. NOTE: We used the type of can that has a ring-pull lid, so the edges of the can aren’t sharp – but it’s best not to leave toddlers unattended with this instrument. 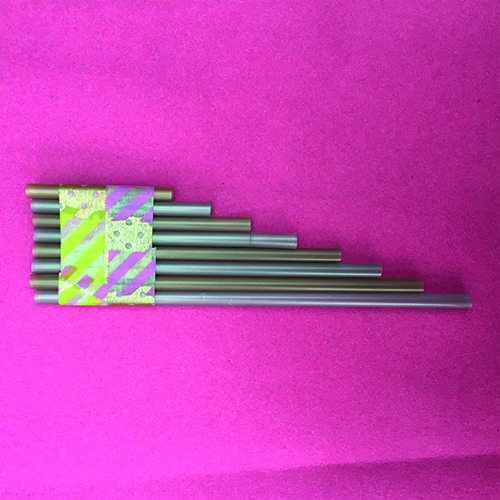 5 Straw flute: help kids turn 6 drinking straws into a flute. Leave the first straw at its full length, and cut the next one 1cm shorter. Then cut the next straw 2cm shorter than the first, and so on. If they’re old enough, this can help kids practise measuring. But don’t worry about being exact with the lengths. Once the straws are ready, they tape them in a row from shortest to longest. Then they blow gently over the straight end of the flute.